On Sunday 27th January, 8:15 am to 11am, Peak School Wildlife Sanctuary (PSWS) invites you to its first birdwatching tours. Together, we will learn what birdwatching is all about, and why it is so important to know our PSWS’ birds. Beginners, amateurs and connoisseurs are all welcome. Bring your ornitho books, binoculars and your best cameras if you wish. We’ll put Peak School on the birdwatching map. After this, we are likely to know more about the oriental magpie robin, Japanese white eye, tree sparrow, fork tailed sunbird, black kite, red-whiskered bulbul, pied wagtail, brown shrike, chinese bulbul, daurian redstart, black throated laughing thrush, spotted dove, common tailor bird, asian paradise flycatcher, scaly breasted munia, jungle crow, etc. Program : Birdwatchers don't have to commit for the full morning but pick and choose 1 or/and 2 tours. Entrance via the upper playground door. A black kite is not actually black. Just that we usually see it in contrast with a clearer sky. 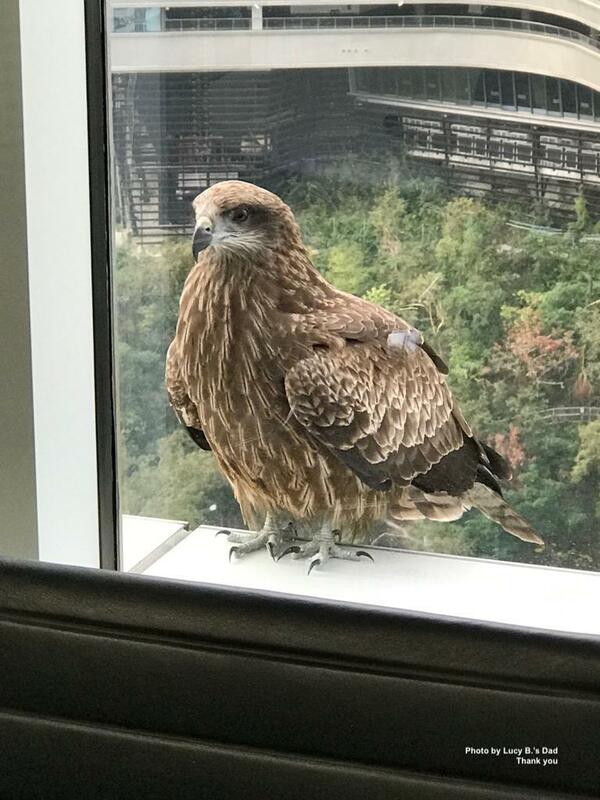 At an office window, 32nd Floor, Pacific Place Two.